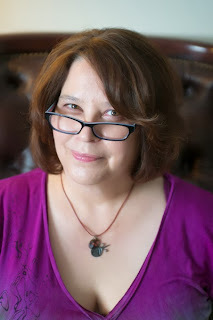 Today is my stop on the Daylighters Blog Tour check out my rumor of the day if you have a question post it in the comments and Rachel will answer (if she can lol) and make sure to check out all of the other sites for theirs! Rumor #6: Someone’s getting married! She took her hand away. He didn’t say anything. His lips formed what would have been the start of a word, maybe a sentence, but he didn’t actually speak. She’d actually scared the words right out of him. “Uh … that came out of nowhere,” he said. Be sure to watch the official book trailer and read an excerpt! 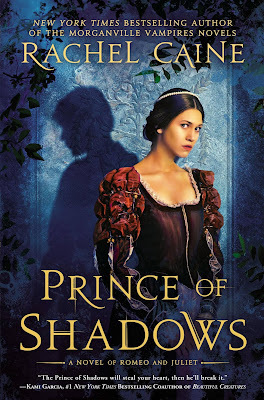 Check out Prince of Shadows!!! Hee! Thank you, Monica -- what a great compliment that is, to say it feels like one big book. I am so very honored to hear that! We're definitely going to be giving you some red hot crazy excerpts in the next few days ... I just like this one, because it's so ... Shane. Heh. Thank you so much! Hmmm, it COULD be true. Magic 8 Ball says ... well, nothing, because Magic 8 Ball can't talk. But MAYBE! I can't wait to read this book, I have a hunch about who is getting married but I want to know for sure. And I want to know what's really going on with Michael, the fifth seems too far away. Thanks Kayla! Your hunch COULD BE TRUE! And Michael ... well, I cannot say. But stay tuned! Really looking forward to this one, and so sorry to see the series go. Is it true there might be some short fiction coming to take us back to Morganville after this one? I would love to read more from Amelie's point of view. Cheers! Hi, Beth! Thanks so much -- and yes, there will definitely be more short fiction coming! I'm very excited about that ... but after the first of the year. :) Amelie's definitely on my list! I've been reading this series for years (started when only a few were out) and I can't believe it's almost over! This is one of my absolute most favorite series! I just love the world and the characters and the stories and EVERYTHING! And since I love MV so much I've bought a TON of Rachel's books. If I ever meet her she's going to hate me for all the books! I just love this series SO, SO MUCH, and it could seriously go on forever! Oh, and that rumor? The squealish noise I made was long and inhuman and OHMYGOSH. I've actually had an ARC of DAYLIGHTERS on my Kindle for over a month, but I'm afraid to read it because 1) I don't want the series to end, and 2) there's a part of me that wants to wait and read it with everyone else and read it how I always have, in a physical, finished form. Rachel! What an awesome message ... thank you VERY much! I am very excited that you're so into the stories -- I love doing them, obviously. So it really makes it worthwhile to hear this. I absolutely will find a way to meet you one of these days, and I promise, I will sign absolutely everything. 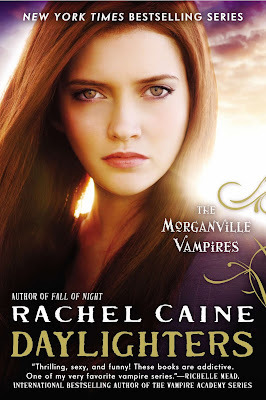 Omg i missed your tour date because i was ill in hospital...i swear i would have left if it wasn't that the doctor told me to stay the night, I started chasing this series from when I was in school and saved my pocket money to a uni student to now a graduate and in employment...Rachel, Thank you for allowing the residents of morganville accompany me through these years! You're so amazing I can't even explain! I love you!! You're the best! !